[Only registered and activated users can see links. ]is an OSRS based Spawn PK Server which is currently in beta stage. What divides us from the others? Weekly Tournaments will be held consisting of Hybrid, NH and Mage Bank tournaments with the winner receiving 100$. Every 20 minutes Vorkath and a Treasure chest will be spawned deep in the wilderness, both rewarding you with great items. Vorkath works exactly like Runescape and supports all attack types, be sure to use your magic protection prayer and antifire potion. 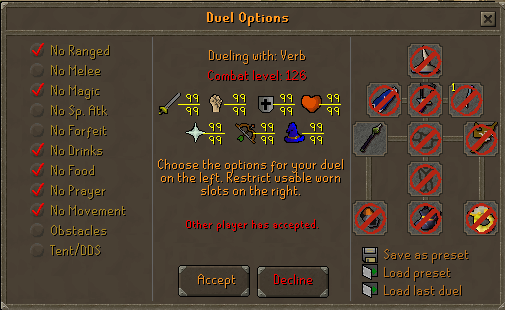 A quick gear system which can be opened by clicking F12, it's able to save and load your inventory, levels, spellbook and rune pouch. You are able to make a preset within 2 clicks, same goes for loading which is basically two buttons being, F12 -> F1 to load the melee slot. 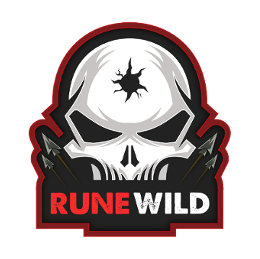 An achievement system has been added which consists of three tabs, daily, weekly and life-time achievements, those achievements include PvM, PK, skill tasks which are mostly wilderness orientated. The permanent achievements has a star system where it can be completed multiple times increasing the difficulty each time until you reach a gold star. The rewards get multiplied twice each time where the silver one will give you twice the better reward and a gold star a 4x better reward. Vorkath with it's toxic pool, dragonfire barrages, prayer disabling dragonfire and zombified spawn. The wilderness event: Treasure chest, an event that occurs every 20 minute. Staking, flowerpoker and dicing is fully automatic to prevent scammers. Newcomers receiving certain rewards for a certain amount of time. Looks well put together. I like the community events ideas. Good luck. Looks well put together. Good luck. Played runewild before, top server, goodluck. Thanks for the support guys! The official launch is coming very soon. is the greatest owner fr and the other were toxic. as he has a great server with a great staff member I wish his new server succees cause he never failed and he is a succeesful person! What have YOU been up to the past year? Insanity - Legends are made here - Are you up for the insane adventure? Join!